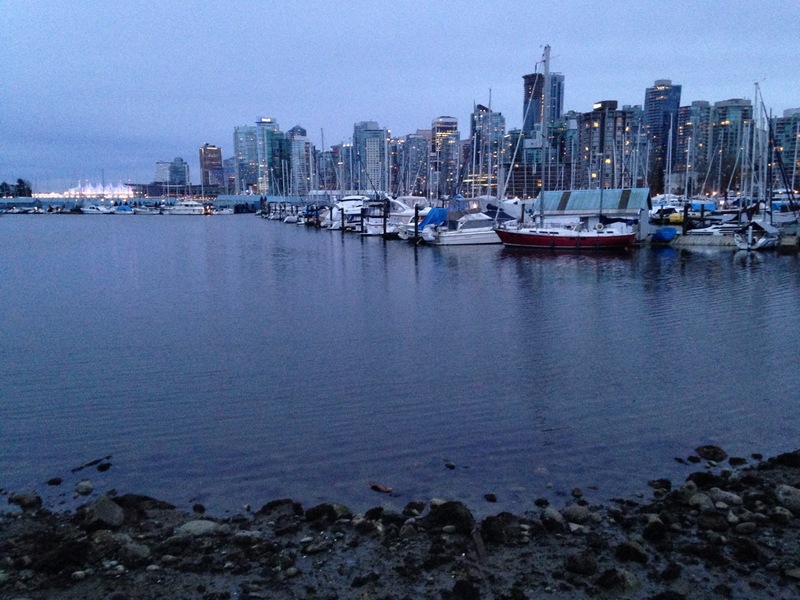 On our one full day in Vancouver British Columbia, everything is glassy and still. Clean and contemplative, this city evokes the gentle reserve of a Japanese Garden. The green glass of the high rises changes subtly with the sky. A slight breeze leaves temporary fingerprints on the surface of Vancouver harbor’s inky water. Mist shrouds the cedars on the opposite shore. A heron shifts its weight. Steam rises from my bowl of ramen. There is none of the roughness or pride of inland hockey culture here. Rather, it seems as if everyone in Vancouver is a grateful and welcome immigrant from somewhere else. 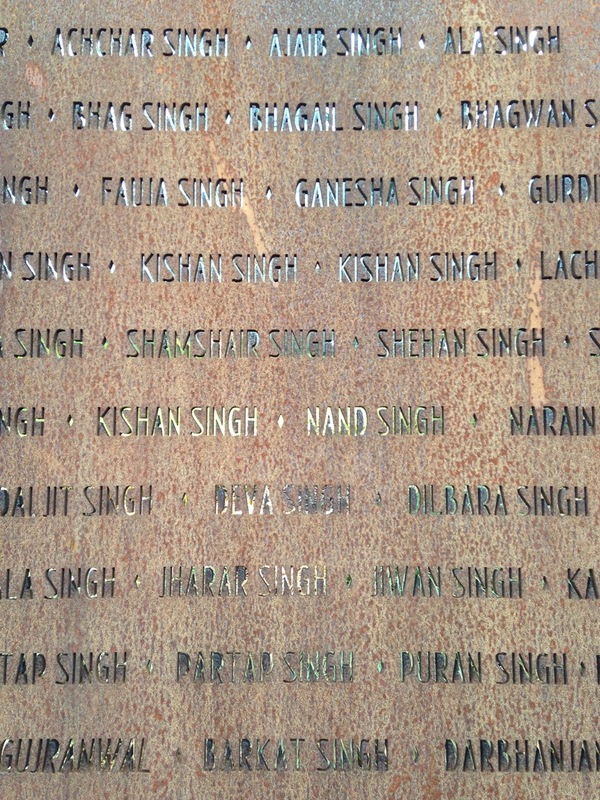 On our harbor walk we pass a monument commemorating the 376 Indian passengers aboard the steamship Komagata Maru, who traveled by sea in 1914 on a seven week crossing from Hong Kong via Japan to claim right of entry as citizens of the British Empire. The Komagata Maru was stopped and made to anchor for two months just one kilometer from Vancouver’s shore before ultimately being escorted out to sea by a Canadian Navy vessel and sent back to India without ever reaching land. Ultimately, the incident inspired changes to Canada’s immigration laws that make today’s international, difference-celebrating culture possible. Four days later after our own passage to India, dragged out and worn down by airport hullaballo, we huddle at a back table in the bustling Hyderabad tea and sweets room of the Grand Hotel restaurant nursing haphazardly poured hot beverages. The saucers contain almost as much chai as the cups. Hyderabad is no Japanese Garden: the streets are cacophonous, the air is noticeably worse than my last visit just two years ago, and any given street crossing requires a leap of faith. 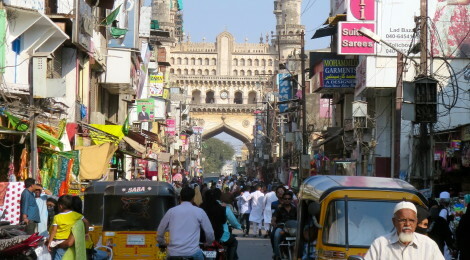 Though it is one of India’s largest cities, Hyderabad remains relatively untouristed; we are just common enough of a sight to be an afterthought. Or are we? Unexpectedly, our distracted waiter arrives with a plate of tea biscuits we did not order, a gift sent to our table from a neighboring pair of young, local men. “You must try these, they are delicious. You should dip them.” We do as instructed. The sweet cookies, dunked in my saucer reserve of chai, dissolve in my mouth like buttery sand castles. “You are welcome,” our gift bearer, replies to our cookie crumb mouthed thank yous. And I do feel curiously welcome here.